MacallinThomas at the age of 18 was involved in a horrific car accident as a passenger in 2017. He has had 28 surgeries to repair the damages which includes a broken back, neck, leg & jaw along with Aneurysms & stomach surgeries. Haleigh Jayde & WrenleighSlaydCail, twins, were born prematurely in 2017. Haleigh was born with Down Syndrome & multiple heart defects. She has had several major heart surgeries since birth. Kyle Hendry is 14 and lives with his grandparents in the Statesboro area. He has muscular dystrophy and is in a special wheelchair. He has numerous financial needs with his condition. 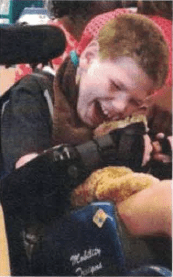 Parker Harrill is a 9 year old suffering from hypoxic brain injury. His arms and legs have limited range of motion and he is non-verbal. Parker has a gastrostomy tube to deliver nutrients, liquids, and medicines directly to his stomach. Dawn has a rare genetic condition called mitochondrial disease. Mitochondrial disease keeps the mitochondria from producing the energy needed for cells to work properly which causes damage to her system wide. Dawn’s disease is a progressive degenerative disease that has caused neurological damage, immunity issues, seizures, complex migraines with vision loss, slow gut motility, decline of cellular respiration, muscle weakness, muscular pain etc. Although she may look like every other 11 year old girl, any energy expenditure causes loss of energy for the basic life functions causing mental confusion, organ damage, pain and muscular weakness. This causes her to need a handicap stroller for periods of time, long rest periods and many medications to control and help her symptoms. She is a very happy young girl that loves books, Star Trek, DR. Who, riding her bike and many other fun things. Jason Michael Carpenter, son of Jason and Christie Carpenter, is the youngest patient in the USA diagnosed with CMT-IE. The disease is a peripheral nerve disorder that affects his arms and legs requiring specialized leg braces and walkers to provide mobility. The disease is progressive and he will eventually be wheelchair-bound. He requires intense physical, occupational, and aquatic therapy and visits specialists in Iowa several times each year. Despite all of his daily challenges, he always has a smile on his face. 5 year old Brianna Bugg McIntosh is the daughter of Christy Flinn, from Bulloch County. She is the big sister to 3 year old Braiden. In September 2012 Brianna came down with severe cold- and flu-like symptoms and after many trips to her doctor and the emergency room their world stopped. On the night of September 24th when they got the new no one wants to hear, Brianna’s white blood cell count is 440,000 and we need to air lift her to Atlanta right now! Her mom and grandparents drove to Atlanta in the night to be there with her, and when they arrived they found her in intensive care with a great staff of doctors and nurses taking care of her. The next day the doctors diagnosed Brianna with AMLLEUKEMIA! Brianna stayed in the ICU for almost two weeks as her little body fought this terrible fight, and all the while her mom was by her side. After she was moved to the Aflac wing of Children’s Hospital of Atlanta Brianna suffered a seizure and had to be rushed back to the ICU. Tests showed she had lesions on her brain, that they would have to monitor them closely and treat her for that as well. Brianna was once again moved to the Aflac wing where her mom has remained by her side for months. Doctors at this point came to her family with more bad news, Brianna is also FLT3 positive, which is a genetic mutation, simply put this means she will fight this for the rest of her life! 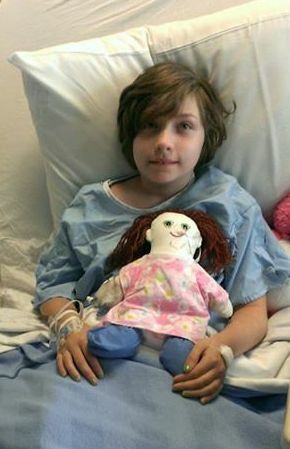 Brianna began receiving chemo as well as blood transfusions right away in an attempt to lower her white cell count. She has had to undergo many surgeries and procedures so far in her battle, all the while she has kept a big smile on her face. Brianna’s mom Christy has had to put life and work on hold to be with Brianna and never leave her side. She and her family have celebrated every holiday and everyone’s birthday at the hospital so far so that Brianna is included in all the normal things in life. Logan Lindsey and parents Kimberly and Jason. Logan Lindsey is a 2 year old from Screven County, Georgia who lives with his mother Kimberly, his father Jason, and his sister Alayna. Jason and Kimberly had Logan in January, 2010. 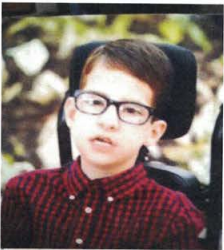 Logan was diagnosed with Dandy-Walker Syndrome. The disease is genetic and occurs in 1 out of 25,000 births. It involves a brain defect that causes loss of muscle control and other problems. Logan is legally blind and deaf, can’t walk or hold his head up, and has seizures. Because of the disease his father had to give up his full time job. His mother hasn’t been able to hold down full time employment because he requires constant care. They also have to shuttle him to and from hospitals in Augusta and Atlanta for treatment. The Southern Cruisers Car and Truck Club of Statesboro gave the Lindsey family a van they needed for transporting Logan to and from his treatments. Alayna Lindsey with a commemorative tag signed by Southern Cruisers members. Alayna Lindsey holding her brother Logan. Southern Cruisers would like to express their appreciation to John Cone of Cone’s Barber Shop and Carrtunz of Statesboro for their assistance in obtaining the van. Ken Scott and family with Southern Cruisers Chairman McQue Boddiford at the 2011 car show. Amber Wilkerson in February, 2010. Several checks were presented to Amber at the show. Southern Cruiser Rev. Wayne Miracle wishes Amber a happy future. Amber requested a ride in a monster truck. She got it! Amber, several members of her family, and the truck owner and driver. Bo requested a ride in his favorite car, a Dodge Charger. He got it! Bo with the Georgia State Trooper who gave him the ride. Bo draws the winning ticket for the car show DJ. Bo, several members of his family, and Southern Cruiser Carroll Williams. We selected two charities in 2008. Both were children with the same very rare disease. Tucker Lanier (second from right) and Gage Strickland (right). Devon Naude (center) and family with Southern Cruisers President McQue Boddiford. Devon Naude (second from right) and family and friends.